Though fall protection, scaffolds, and ladders are items one, three, and seven in the list of common violations, they all have the potential to result in falls. Falls are one of the leading causes of workplace death and injury and are the primary fatality in the construction industry. To protect your employees, read up on the OSHA’s requirements for these three hazards. OSHA has an extensive Fall Prevention Campaign, dedicated to educating employers on how to properly equip and train employees, to help to prevent falls. On November 18, OSHA issued a final rule updating standards for fall protection and walking-working surfaces that make requirements more consistent between construction and general industry, allows employers to select the most appropriate type of fall protection system for their operations, and requires training on fall protection systems and equipment. Employers have six months from the publication of the standard to train employees on fall hazards that they may be exposed to and to train employees who use fall protection systems and equipment. Hazard communication may not seem to have the same urgency as some of the other items on the list since it doesn’t directly result in injuries or incidents, or so one might think. The truth is, however, that the hazcom rules exist for a reason, and there is a very real possibility that an unlabeled chemical could be accidentally misused, resulting in damage to property or product, or serious injury or death. Make sure that all hazardous chemicals are properly labeled, and that workers are trained on handling these chemicals and understanding GHS label conventions and SDS. Respiratory protection is necessary for a variety of environments, wherever there are hazardous chemicals or particles in the air, in the form of mist, dust, spray, fog, gas, vapor, smoke, or where there is insufficient oxygen. Exposure to these hazards without a respirator, or while using a respirator improperly, could cause illness, lung impairment, cancer, or death. Ensure that your employees have the correct type of respiratory equipment for the hazards present in your workplace and that they know the proper technique for using this equipment. Lockout/tagout and machine guarding practices are essential in preventing injury and death in the workplace. Not only do workers performing activities requiring machine shutdown and power isolation need training on how to properly lock and tag out machinery, other employees must also be aware of lockout/tagout practices, so as to avoid inadvertently restarting locked out equipment. 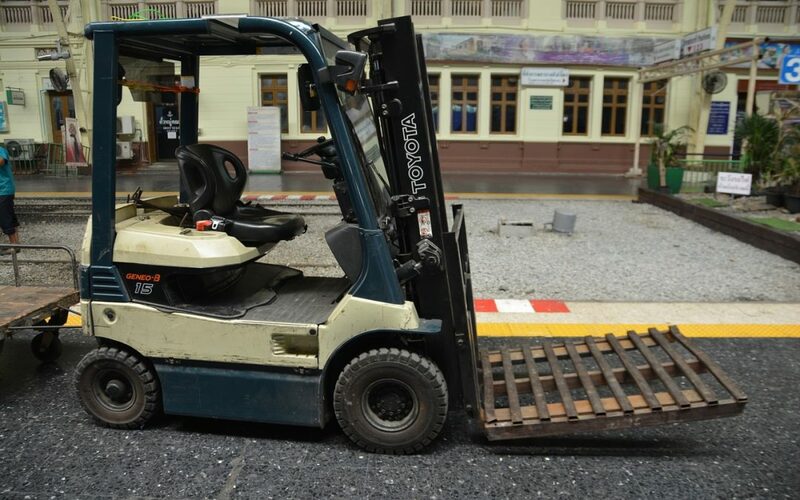 Like any other type of vehicle, powered industrial trucks such as forklifts or hilos have the potential to cause harm if used improperly. All operators of such vehicles are required to be trained in their use, and organizations employing this type of vehicle must have a documented safety program on the subject to avoid a citation. Consider training employees who do not operate powered industrial trucks, but may be exposed to trucks in operation, how to safely work around them to avoid pedestrian/truck incidents. Every industry uses electricity, and it is important that employees who do not have advanced knowledge of the subject have a general awareness of electrical safety practices. Improper use of equipment using electricity, contact with power lines, and even improper use of extension cords, could present a hazardous situation. There is an obvious relationship between the top OSHA citations and the causes of workplace injuries and deaths. To protect your workers and company, your organization needs to implement a safety program that addresses these hazards, and all of the other potential hazards present in your workplace. eSafety has courses on all 10 of the most violated OSHA standards. Get in touch with us or request a quote online to start training your employees and protecting your company from these hazards.